Last night I had my mums best friend and practically my second mums 50th! It was a great night and an awesome party! 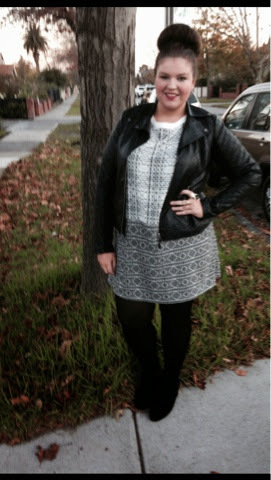 I was wanting to wear a patterned dress and had been looking for one I really like. 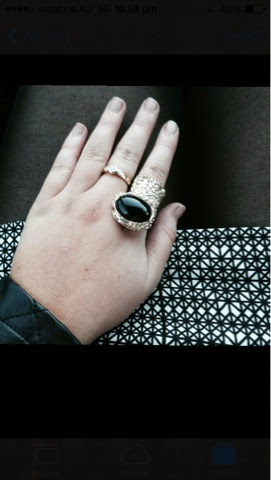 I'm loving all the patterns and monochrome that is around at the moment! I managed to find a black and white patterned t-shirt dress and it was exactly what I was looking for . This black and white monochrome dress from Piper at myer in the plus size section is a bit oversized and can be dressed up and down for any occasion. 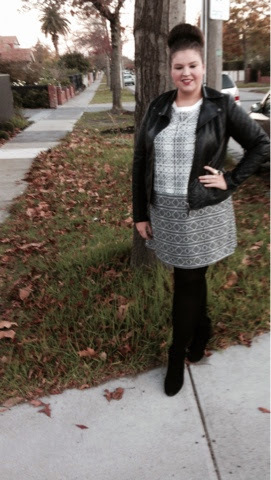 I love love love the pattern of the dress and I also love that it has a small sleeve. I believe it's one of those key pecies for your closet and something you will get heaps of wear out of it! Hair: I love wearing a bun'! 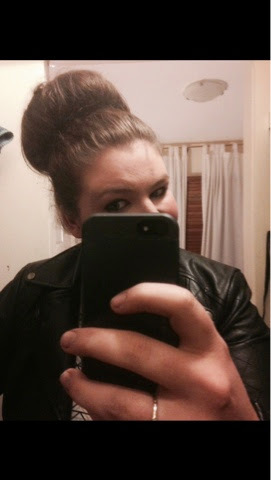 so I used a really big hair donut to make my bun massive! It looked so amazing, if you love wearing your hair in a bun, using a hair donut is a great way to give your bun a perfect shape and height!